When Bryce LaDuc rescued two border collie mixes in 2006, she had no idea how much it would impact her life. She recalls being a little overweight and “not really happy with myself” when she adopted them. She’d recently relocated to upstate New York to live with her boyfriend Paul after living in Wisconsin for 24 years, and says she felt a bit out of place “overall in life” and knew there was something missing. The change is dramatic: LaDuc is now an “Adirondack 46er” — a hiker who has climbed all 46 of the High Peaks in New York’s Adirondack Mountains — and a social media influencer with over 22,700 Instagram followers. 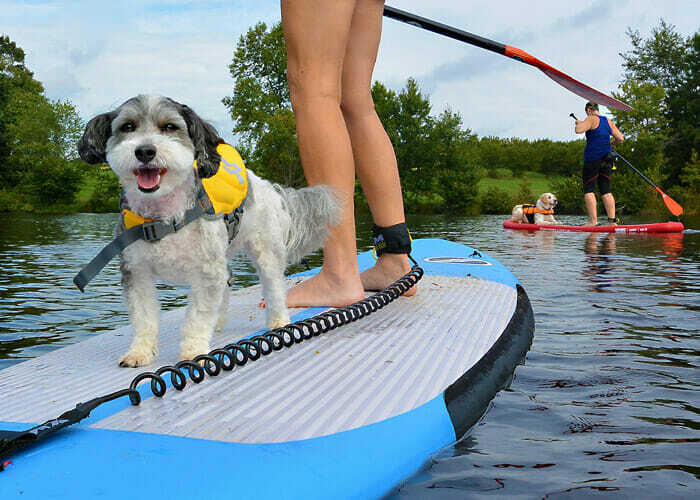 LaDuc shares special moments with Finn and Tonto in stunning scenery around the country, showcasing the thrill of outdoor adventure and the power of the human-canine bond. 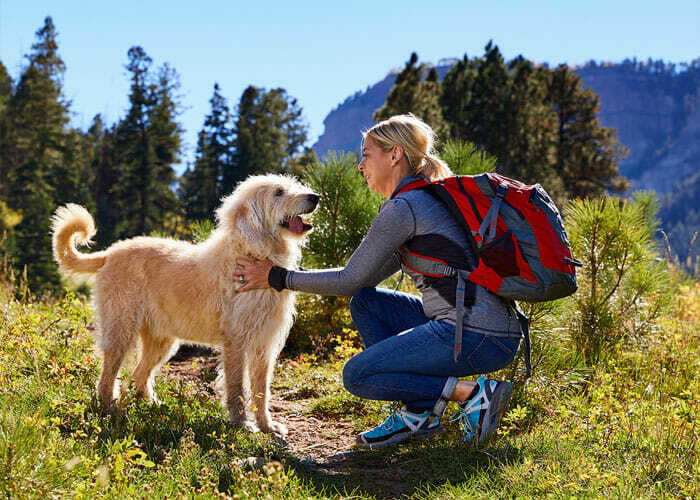 LaDuc urges people to live healthy, active lives outside with their dogs, whether camping, hiking or just hanging out at a park or river. It’s certainly her life’s passion. In fact, she herself has risen above the challenge of having an autoimmune bleeding disorder called ITP, thanks to inner fortitude and, of course, her dogs. She says the pups help her remember to not sweat the small stuff and to live each day to the very fullest. It’s an impressive feat for dogs with humble beginnings. Tonto was a Hurricane Katrina stray afflicted with ear and eye infections, giardia, mange and hunger: “You could see every bone in his body.” Finn survived a “really bad abuse case” in New York and is still a little shy. Now the dogs are living the good life. 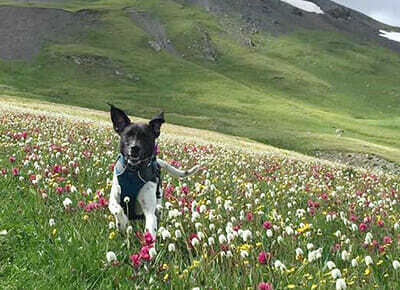 In the past 11 years, Tonto and Finn have traveled to 27 states, exploring the high country or romping at sea level. Favorite stops include Maine’s dog-friendly Acadia National Park and the seaside at Vero Beach, Fla. The family recently moved to Portland, Ore. without any connections or ties to the area — just an eagerness to continue exploring. LaDuc is grateful for the freedom to be able to jump in the car and camp on the beach for the weekend, or to have the company of her dogs when she’s hiking solo. LaDuc has a tendency to want to stay in motion; she admits to always wondering, “What’s next? What’s new to see?” But her dogs remind her to slow down and enjoy life’s simple pleasures. 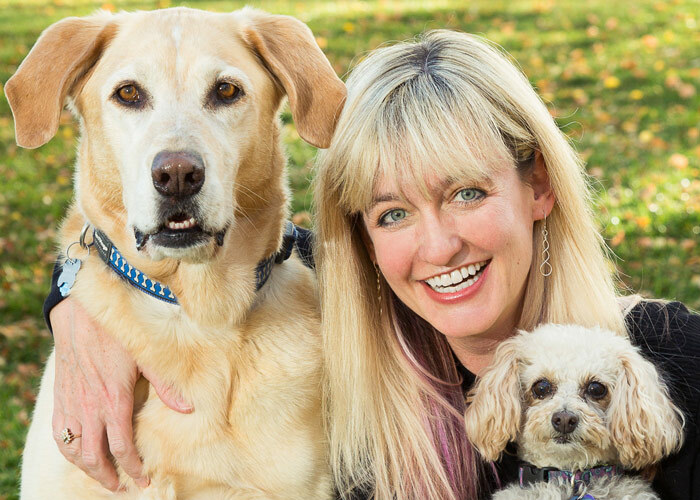 Because her dogs have enriched her life so much — at 37 years old, she says they help “keep her young” — LaDuc is passionate about encouraging others to embrace the joy of life with dogs.